Does your smile need attention today? No problem. As part of the general dentistry services at Riverheart Family Dentistry, we offer same day dentistry because we understand that some times dental problems need prompt attention and other times your schedule prevents you from planning ahead. 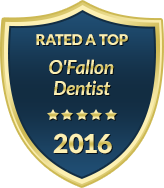 Our practice is dedicated to providing state-of-the-art dental care in the comfortable environment you deserve. Regardless of whether you have had your dental appointment on the calendar for months or you just called us today, you can expect the same level of patient-centered care from our team every time you walk through our doors. Dr. Schwarz is a highly skilled and gentle dentist who knows the importance of convenience when it comes to treating your smile. We never want your schedule restraints to keep you from getting the general, restorative or cosmetic dental care you need and deserve. Although we are focused on treating your smile, we never overlook the needs your family has beyond your teeth and gums. When it comes to fitting in a routine teeth cleaning or addressing an urgent dental concern, we make every effort to accommodate you the same day you call if needed. To better serve our patients, our office offers extended weekday hours, including early morning and evening appointment times. Providing same-day dentistry is just one way that we meet your need for convenience. Our office also offers family block appointments, online forms and a variety of flexible financing options. At Riverheart Family Dentistry, dental care has never been so easy and rewarding. Contact us now for dental treatment today. We consider it a privilege to care for your smile, regardless of the advance notice.